The reference brand in the manufacturing of moto helmets since 1947 reveals you his sport moto full face helmet fiber and carbon fabrics homologated the Corsa V46. 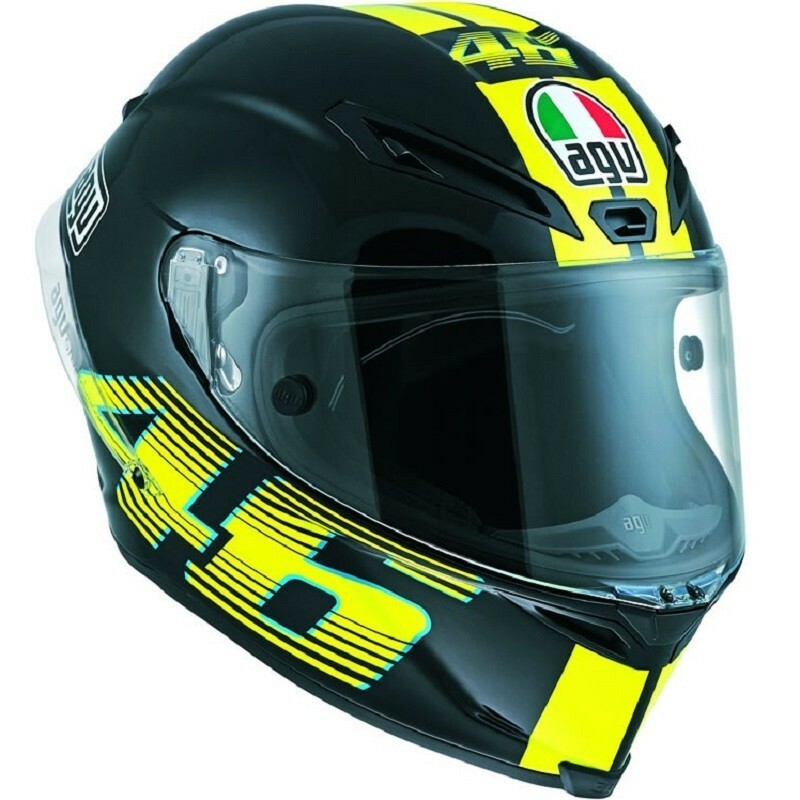 AGV CORSA E2205 motorcycle helmet. Designed for uncompromising performance on the track, it offers most of the Pista GP’s features, but with a carbon-fiberglass shell and adjustable vents. Offering most of the same features as the top-of-the-line Pista GP but in a carbon-fiberglass shell and adjustable vents, the Corsa is designed for uncompromising performance on the track. A new interior construction provides a stable, pressure-free fit, and the patented.